Happy Wednesday! And it sure is happy over here. I feel 100% better! It’s crazy how you can feel like you’re dying for 24-straight hours and then wake up the next day and feel like a new human being. I’m celebrating. 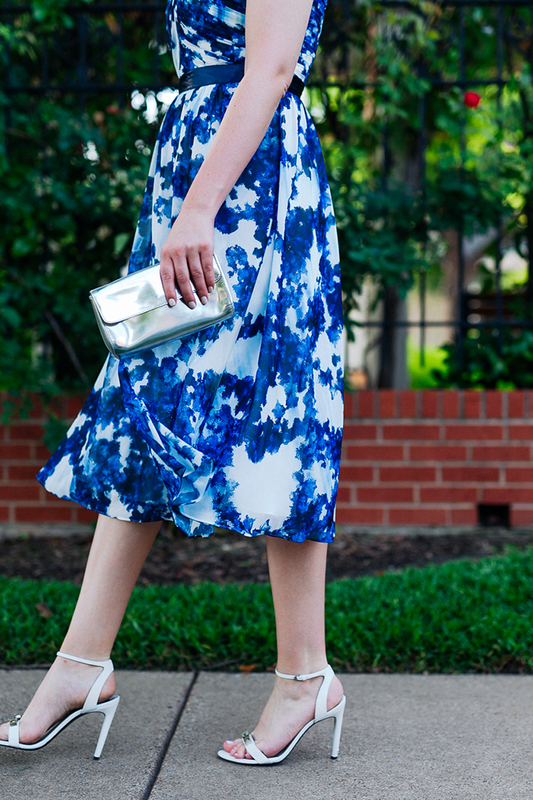 Anyway… I wore this pretty floral one-shoulder dress to a wedding in Austin a couple weekends ago and it was perfect! 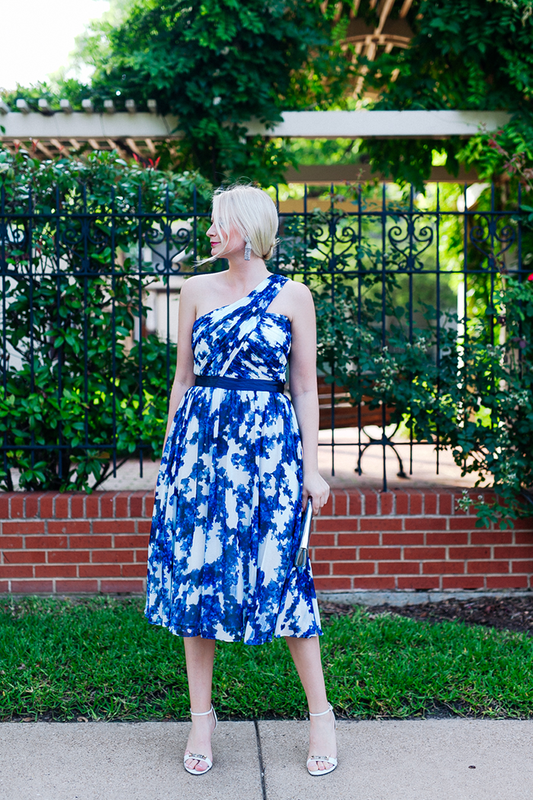 I generally do not opt for strapless pieces (mostly because I hate wearing strapless bras and/or I have to keep pulling my dress up), so a one-shoulder look is a great option when it’s hot out! This number is also an appropriate length – especially for a church wedding. It’s easy to dance in since it’s only fitted at the waist, and most importantly, it’s comfortable. 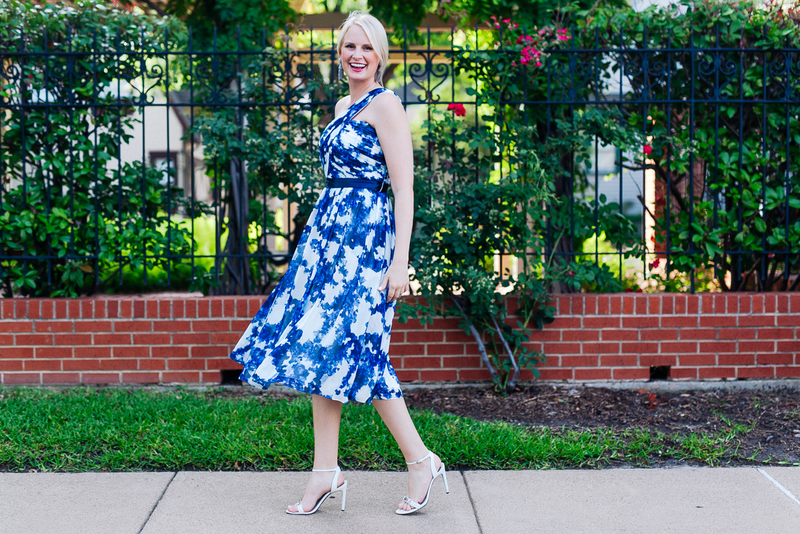 If you’re still on the lookout for a wedding look or two for those last few weddings this summer, I’ve got you covered (at every price point)! 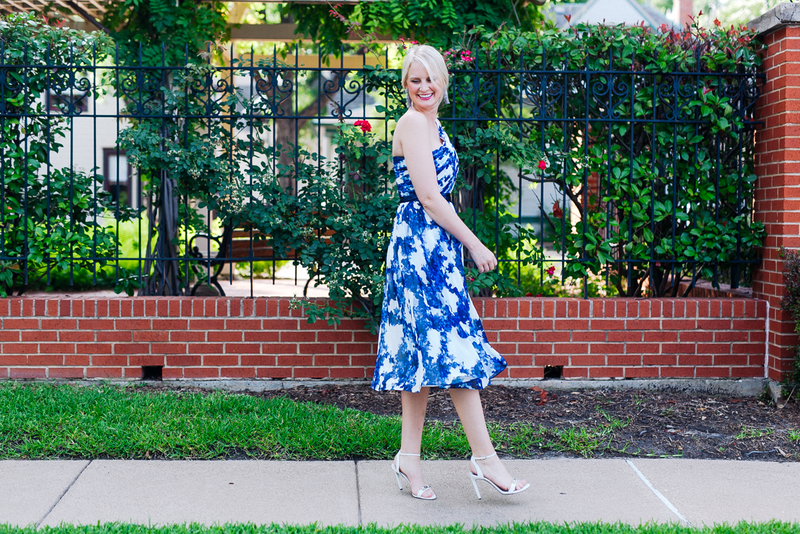 If you’re on the hunt for something under $150, check out this sky blue lace number and this one if you love prints. 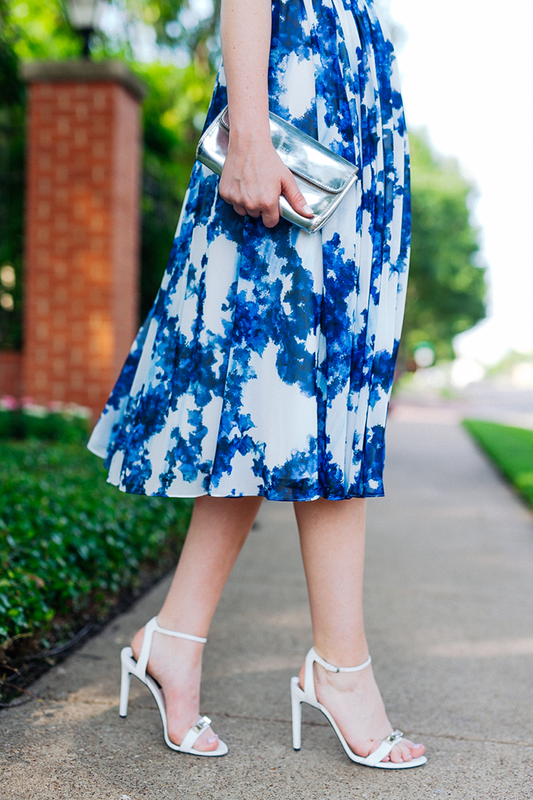 PS – this eyelet J.Crew dress is on sale and under $130! 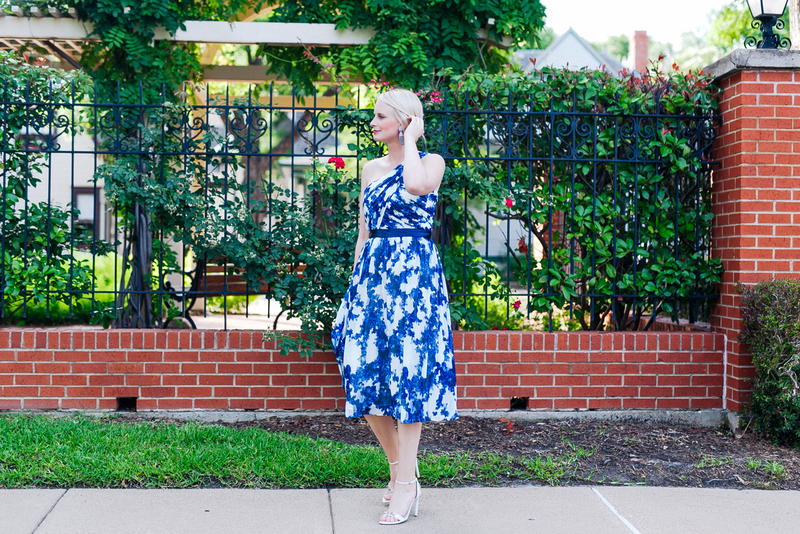 If you’re willing to spend a little more, you’ve gotta see this Tibi dress and this lace one too. Beautiful dress! Perfect for hitting the dance floor! I’ve been so sick too, it’s just awful! LOVE this look! You’ll be prettier than the bride haha! Love the dress! And your makeup looks flawless! I knew this was a Shoshanna dress! So gorgeous!! And those earrings are so fun. You look gorgeous! I hate strapless bras too. And the ASOS dress is lovely. The earrings and the dress are perfect. Glad to hear you are feeling better! the blue and white dress is stunning! love that color combination and it’s so perfect for summer! Merritt – you look stunning! Wow. How beautiful. Stunning dress. Love a one-shoulder look. Your makeup looks so beautiful! you look gorgeous in blue! such a stunning dress, and you look stunning in it! This one shoulder look is so pretty on you! I agree about strapless dresses, but a good bustier bra I’ve found is the perfect solution, because they hold on to the waist for support. 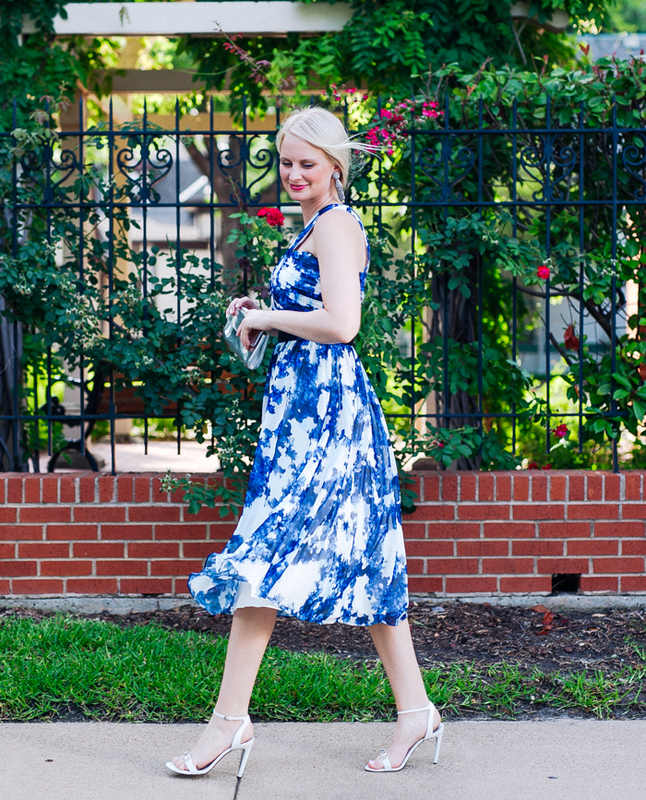 Such a beautiful and the best dressed guest outfit for any wedding! 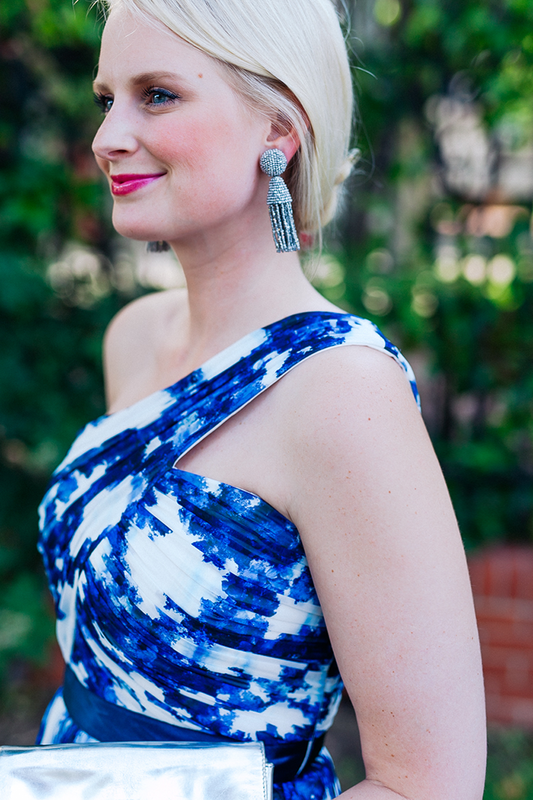 You look stunning Merritt and the Oscar de la Renta earrings are beautiful with the subtle natural makeup!! Gorgeous look! Love that dress!